Particularly this time of year, many employers face unpredictable demand for labor. Whether in retail stores facing a crush of shoppers, hospitals and health care providers facing spikes in patients using benefits before the end of the year, manufacturers running overtime to produce seasonal products, or technicians in the field in a variety of industries contending with weather-related issues, employers often do not know exactly how many hours each week they may need employees to work each week. Even outside of unpredictable demand periods, employees can get sick, take leave, or go on vacation, and some employers simply to choose to run longer shifts as a matter of course. Any of these situations may require an employer to request, or even require, that employees work overtime. The Fair Labor Standards Act (FLSA) does not restrict employers from requiring that employees work overtime. More broadly, the FLSA does not limit the amount of work time an employer may require or expect from any employee, exempt or non-exempt. It requires only that employers pay employees overtime at a rate of time and a half of the employee’s regular rate of pay for any hours over 40 that the employee works in a week. The main risk for employers comes from state and local laws, which often place more restrictions on employers’ use of mandatory overtime than the FLSA does. For example, in California, employees must receive time and a half for all hours worked over 8 up to 12 in a day, and double time after that. More importantly, pursuant to various Industrial Wage Orders issued by the state, employers in certain industries in California cannot require employees to work more than 72 hours in a workweek except in emergencies, if at all. Illinois is one of several states with a One Day Rest in Seven law that requires employers to provide at least 24 consecutive hours of rest every calendar week, which could indirectly limit mandatory overtime. Some states have limits only for particular industries. For instance, Pennsylvania passed a “Prohibition of Excessive Overtime in Health Care” Act in 2008 that prohibits healthcare facilities from requiring an employee to work in excess of an agreed to, predetermined and regularly scheduled daily work shift unless there is an unforeseeable emergency or catastrophic event that substantially affects or increases the need for healthcare services. 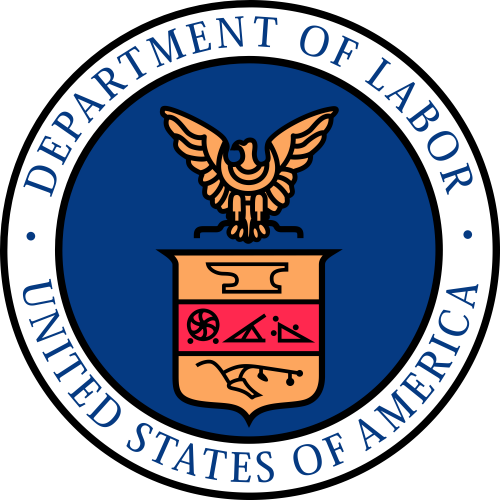 Earlier this year, a health care provider in Pennsylvania was found to have violated the law and was required to reinstate and pay over $122,000 to a worker it had fired for refusing to work overtime. In all, at least 17 other states place restrictions on mandatory overtime, including Alaska, Connecticut, Kentucky, Maryland, Minnesota, Missouri, New Jersey, New Hampshire, New York, North Dakota, Oregon, Rhode Island, South Carolina, Texas, Washington, Wisconsin, and West Virginia. The restrictions range from limiting the number of consecutive workdays or the total hours an employer can require in a workweek to prohibiting mandatory overtime altogether, depending on the occupation or reason for scheduling. The FLSA may set no limits on how many hours each day or week you can require employees to work. However, many state laws do, and the exceptions can be complex at times. More importantly, though, mandatory overtime can be a bigger employee relations issue even if you get the wage and hour piece right. If voluntary overtime does not cover staffing needs, occasional mandatory overtime may get you through a rough patch until you can bring on more staff or get to a slower time of year. However, employers should also remember that mandatory overtime is a major talking point in union organizing efforts, no matter the industry. Mandatory overtime can not only cause issues with state or local laws that restrict it, but could lead to unwelcome attention from unions looking for a wedge issue with your employees.